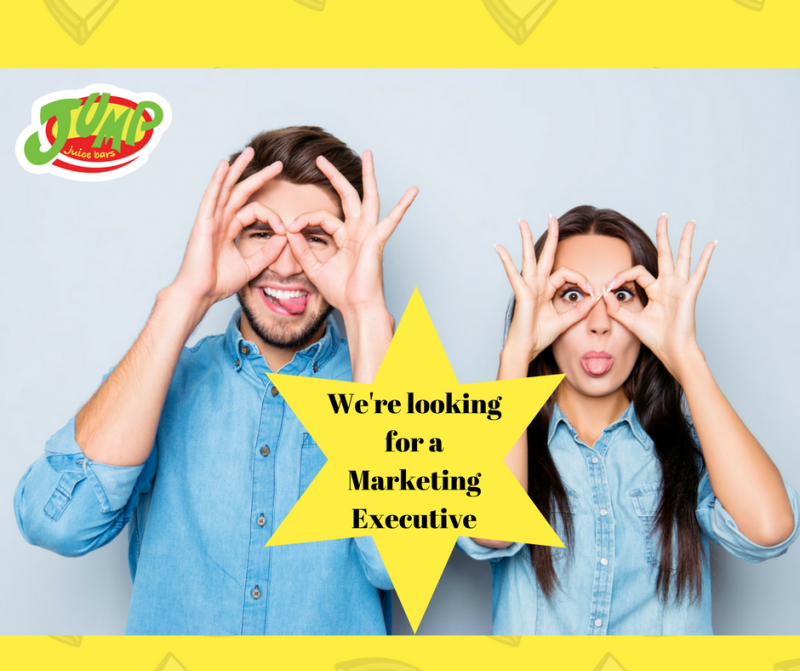 This is an exciting and varied role for a Marketing Executive who wants to work with the market leading juice and smoothie bar chain in the dynamic, competitive world of food and beverage retail. As Marketing Executive with a national retail company you will be an ambassador for the brand and use all your endeavour to create happy loyal regular customers. Through developing an understanding of our product, our customers and our brand you will oversee marketing, social media and sales promotion activity that translates directly into retaining existing and creating future regular customers. Based from our head office in Cork you will support our 22 stores nationwide. Responsibility for the creation and delivery of marketing and sales promotion activity at both a national and each local store level. Manage the companies’ social media and website activity. Liaise closely with shopping centre marketing teams to gain maximum exposure for our brand within their social media outlets and marketing campaigns. Oversee our loyalty card programme. Manage sponsorship and PR activity and queries. Handle customer feedback, complaints and queries. Develop an Internal marketing strategy to share and develop the brand story and message to all internal staff working in the business. A results driven self-starter with a high level of energy, self-motivation and attention to detail. Computer literate with proficient knowledge of Ms Office and social media options. Proficiency in Photoshop or similar an advantage but not required. Flexibility around travel and overnight stays. Graduate degree in Retail Marketing, Food Marketing, Business or Communications. 2 years + experience ideally in retail marketing or experience from a general marketing, sales promotion or social media role.